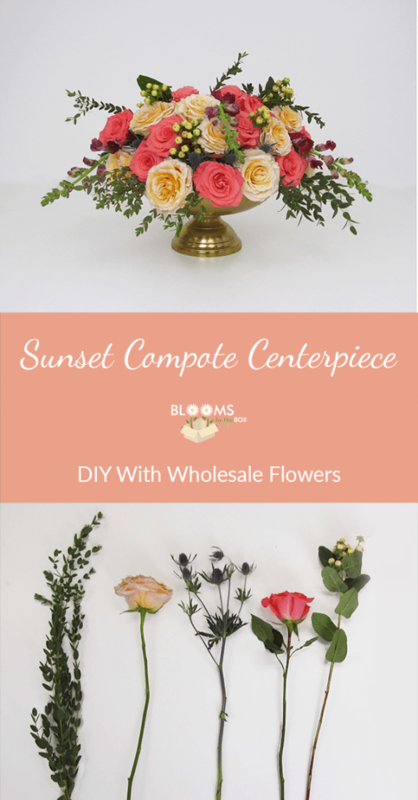 Create this sunset compote centerpiece using flowers in warm shades of peach, coral, and burgundy for a gorgeous glowing centerpiece. Bonsai eucalyptus draping over the edge of this compote creates a romantic look of another era. 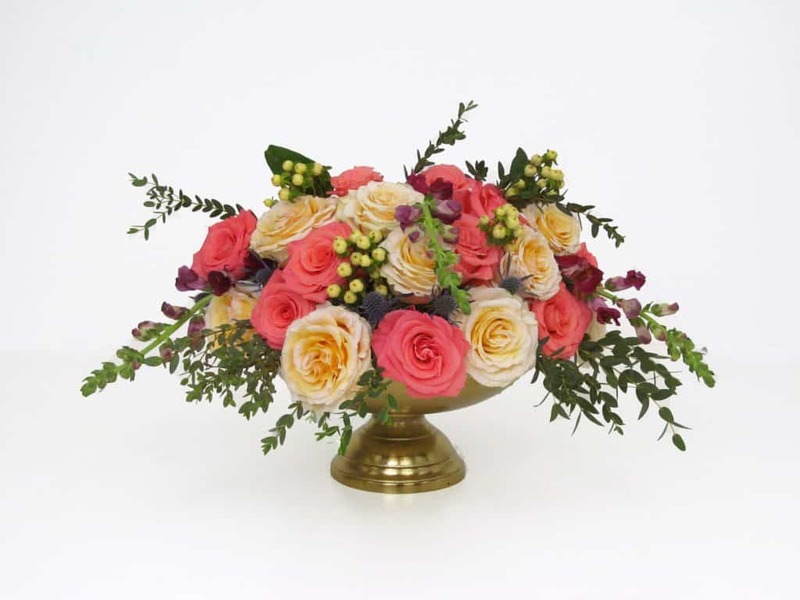 Thistle and Hypericum add texture and dimension for a captivating centerpiece! You can find many of these flowers in our Sunset Desert Pack!